The tour guide was a very good storyteller and i enjoy the history and the background about the university city Salamanca. The sculptures at external wall of the church and buildings were interesting, amazed by the creativity of the spaceman and the frog. Had lunch before we left to Avila, a gated city with a slope. The city was peaceful and quiet, as if I was going back to the old times. Take a day trip to two beautiful cities in Spain near to Madrid: Salamanca and Avila. Both are historic cities with an abundance of medieval architecture. 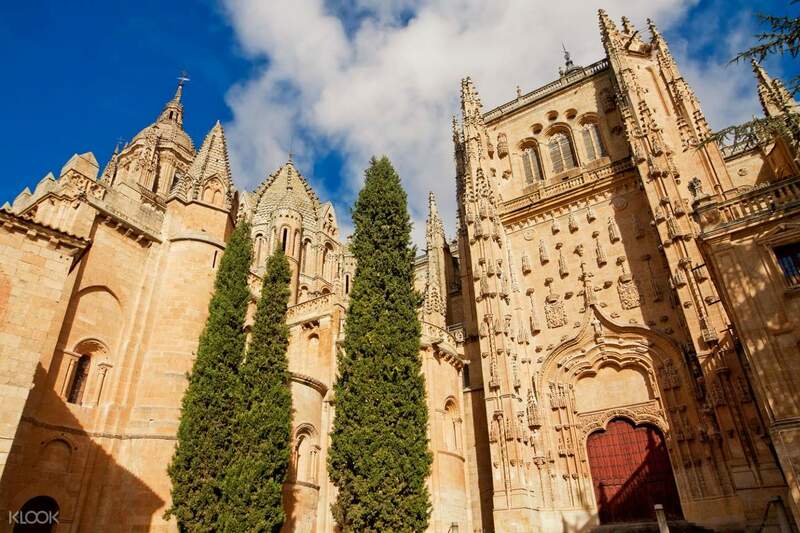 Hop on a comfortable bus from Madrid to take you to your first city, Salamanca. 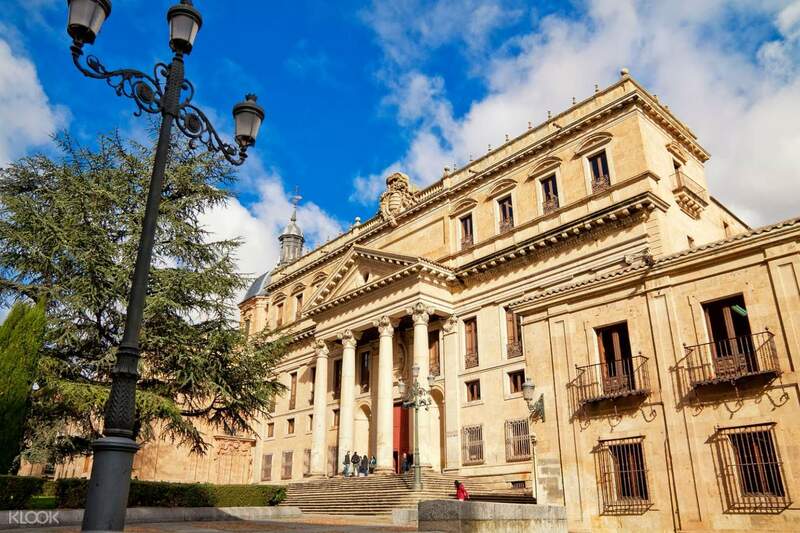 When you arrive, start your tour at Salamanca, where you'll have the change to visit the patrimonial town with its charming corners and details. 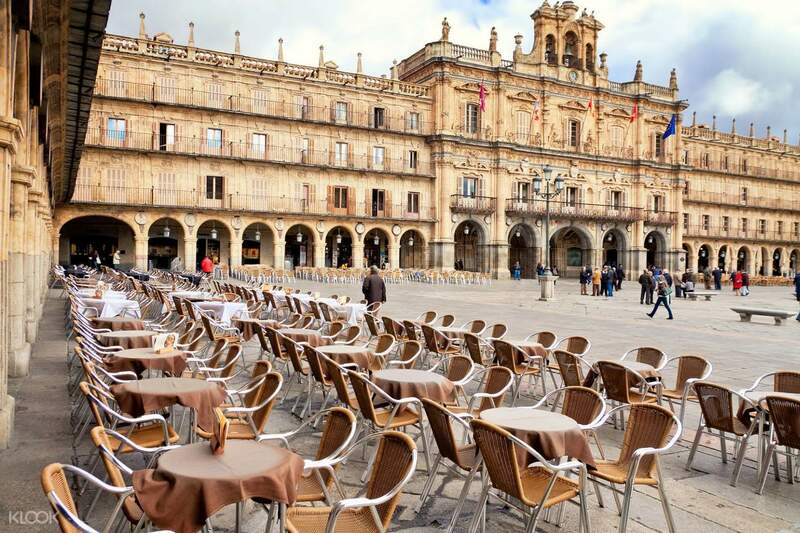 Marvel at the impressive centuries-old cathedrals and the Baroque ornaments at the Salamanca Plaza Mayor. After the 1 hour guided walking tour, you can tour the area on your own, and even grab some lunch at their local restaurants in your own expense. Next, you'll head to Avila where you get to discover more about this charming walled city. 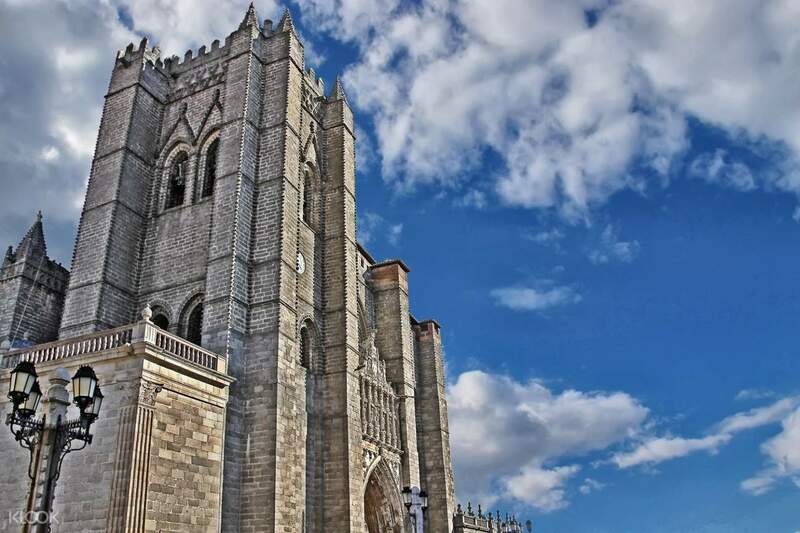 Explore the many archways and turrets that once protected the city, and visit the Cathedral of Avila and the San Vicente Shrine. At your free time, walk along Avila's city walls between Puerta del Carmen and Puerta de los Leales and get the best photographs of the walled city. This combo day tour to these two historic cities will be fun day filled with an appreciation for history and culture. It's something you should definitely try while visiting Madrid. The tour guide was a very good storyteller and i enjoy the history and the background about the university city Salamanca. The sculptures at external wall of the church and buildings were interesting, amazed by the creativity of the spaceman and the frog. Had lunch before we left to Avila, a gated city with a slope. The city was peaceful and quiet, as if I was going back to the old times. The tour guide was a very good storyteller and i enjoy the history and the background about the university city Salamanca. The sculptures at external wall of the church and buildings were interesting, amazed by the creativity of the spaceman and the frog. Had lunch before we left to Avila, a gated city with a slope. The city was peaceful and quiet, as if I was going back to the old times. Beautifully preserved jewels of Spanish history. Loved Salamaca alot more. The colour, architecture, ambience is facinating. The tour was professional and quite well organised. There were enough breaks as well. These cities hosts old Cathedrals and audio guide is included, after a certain point I was bored to keep hearing the same religious history. Apart from that well done tour. Beautifully preserved jewels of Spanish history. Loved Salamaca alot more. The colour, architecture, ambience is facinating. The tour was professional and quite well organised. There were enough breaks as well. These cities hosts old Cathedrals and audio guide is included, after a certain point I was bored to keep hearing the same religious history. Apart from that well done tour. Both beautiful cities! The Salamanca Cathedral was so huge! Both beautiful cities! The Salamanca Cathedral was so huge!